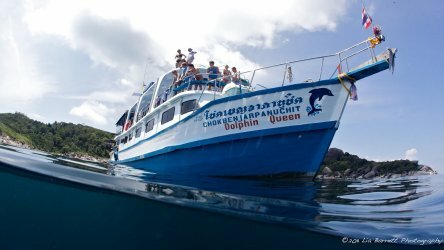 Helping preserve our Phuket reefs starts before you even get on our diving boats or even leave your home countries for your well earned holiday. A few simple and inexpensive steps can really make a difference, the “everybody else is doing it” line really doesn’t cut it as an excuse anymore. 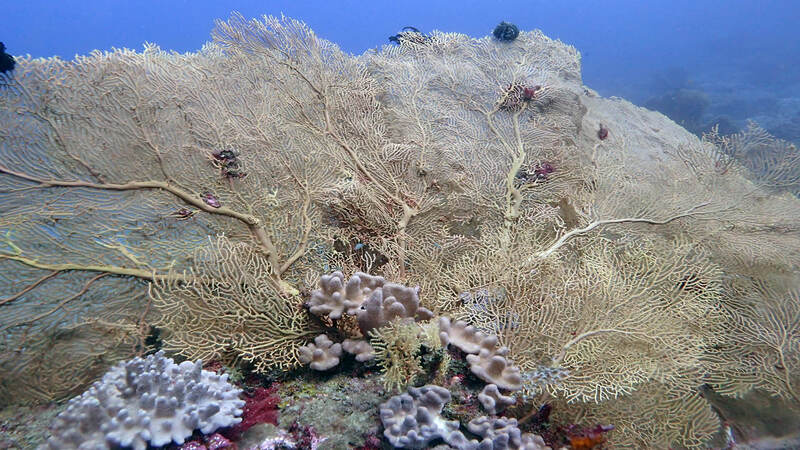 Below are a few suggestions that can reduce your impact on our reefs. Oxybenzone (also known as benzophenone-3) is a common ingredient in many sunblocks and has detrimental affect on coral reef health. Environmentally friendly products aren’t easy to find in Phuket resorts so consider bringing your own. Our boat has two indoor saloons and a large shaded open deck. Staying out of the sun obviously reduces the chance of getting burnt and lowers the risk of dehydration. Staying properly hydrated is extremely important when diving. You are of course welcome to use our sundeck but keep your time up there to a minimum and use a bit of common sense. Convenience stores in Thailand do tend to over serve on plastic bags and I can only assume that staff get a commission of some kind for their distribution. You can honestly get two separate bags when buying a yogurt and a chocolate bar! This is totally beyond me, these peace loving dairy based snacks will not engage in an epic fight to the death if they have to share the same space, I’m sure they’ll get along just fine. Every responsible dive centre in the world will politely tell you to avoid touching anything when you’re diving and our Phuket tour leaders will certainly remind you on the morning boat briefing. The obvious reason is to preserve the environment but it’s also very much for your own safety. We have plenty of venomous animals in the waters around Phuket, we even have a snail that has enough venom to kill 20 adults (why???). 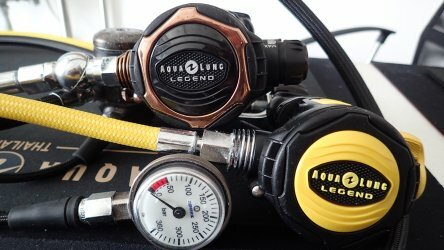 If you haven’t dived for a while or you’re a beginner or even trying for the first time then please except advice from experts. Racha Noi and Racha Yai have plenty of calm sandy areas where you can get used to being in the water again without damaging yourself or the environment. Although Phi Phi is a relatively easy dive location it can sometimes be a bit tricky, sure you’ll see more wildlife and coral but you can also easily unintentionally cause damage. 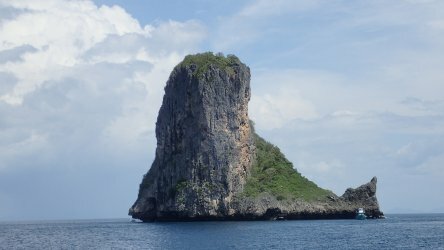 For the non-swimming, scared of water and allergic to fish Discover Scuba Diving students (it happens) then please go to Racha Noi/Yai, the water is very clear, calm and there’s plenty of wildlife to see. We guarantee you’ll have a great day. 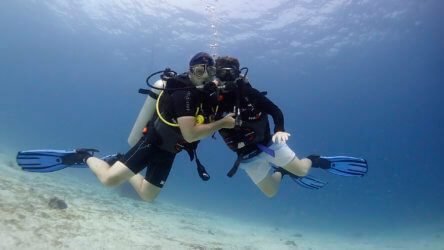 Diving is fantastic fun but there are inherent dangers, listen to the professionals, don’t try to run before you can walk and you’ll come away with an incredible memory and negate any danger. All of the above can result in a fine of THB 100,000. The last thing we want is any of our guests to have a bad experience in Thailand so please help us follow the rules. We try to be as environmentally conscious as possible, that begins in the morning with the tour leaders briefing. We don’t use any plastic disposable cups, plates or cutlery, we have recycle bins for cans and any plastic bottles that you may bring on-board (please avoid this if you can), there’s no harmful soaps or shampoo’s in our toilets and we have septic tanks in our toilets. If there’s anything else you feel we can do then please contact us after being on our boat and if possible we will action it. Hope to see you on-board soon. Posted in The Archives on May 24, 2017 .